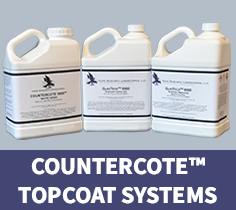 Countercote | Hawk Research Laboratories, LLC. appearance is desired. Available in many stock and custom colors, as well as clear.